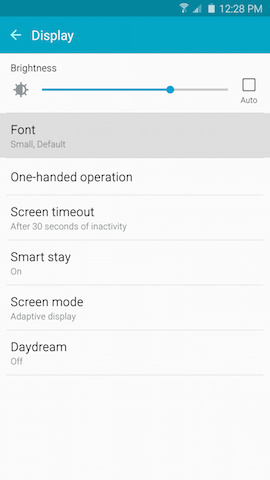 3 Scroll to and touch Display under the Device tab. When you select Huge, the font may be shown only in certain applications. In applications that cannot support Huge font size, the largest supported size will be used. 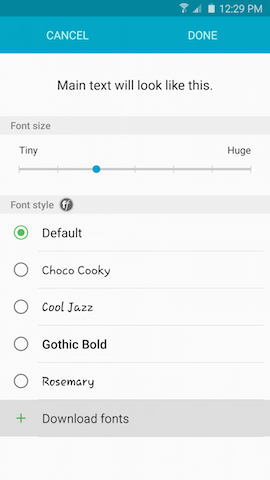 5 Choose Default, Choco cooky, Cool Jazz, Gothic Bold, or Rosemary as the Font style of your display font. A preview of the font style will appear at the top of the screen. 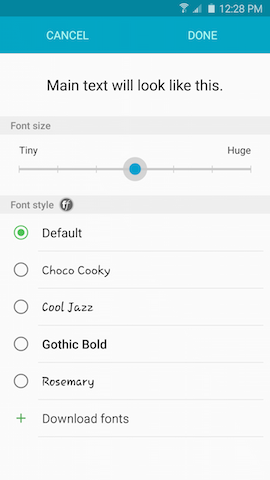 5 Touch Download fonts to purchase additional fonts or download free fonts from Galaxy Apps. 6 Touch the font you want to download. 7 Touch the price of the font. You may be required to re-enter the password for your Samsung account. 8 Touch ACCEPT AND DOWNLOAD to download and install the font. 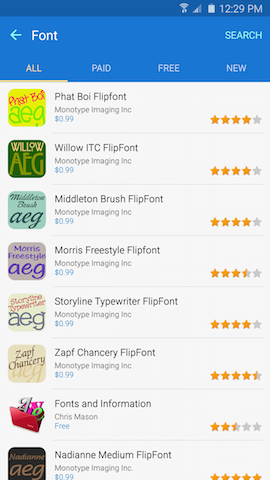 Some fonts obtained on your device by any other mean (in particular via the Google Play Store) might not work on your Samsung device (if it can't satisfy high security standards provided by Samsung). Please use this procedure to help protect the security of your Samsung device. How do I change or hide notifications on my Samsung Galaxy Note5 lock screen? 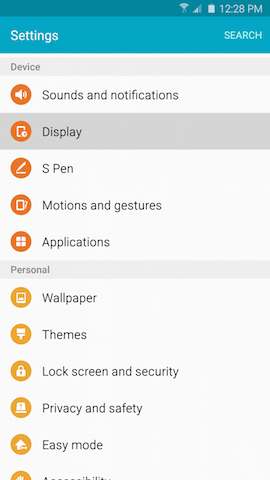 Galaxy Note5: How do I download and change Themes on my Samsung Galaxy Note5?